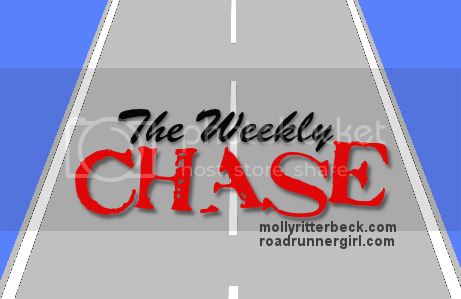 Road Runner Girl: The Weekly Chase #121! I hope everyone had a good weekend! I sure did! It started Friday afternoon when I met my friend Jenny and her daughter Lily at Starbucks for afternoon coffee! 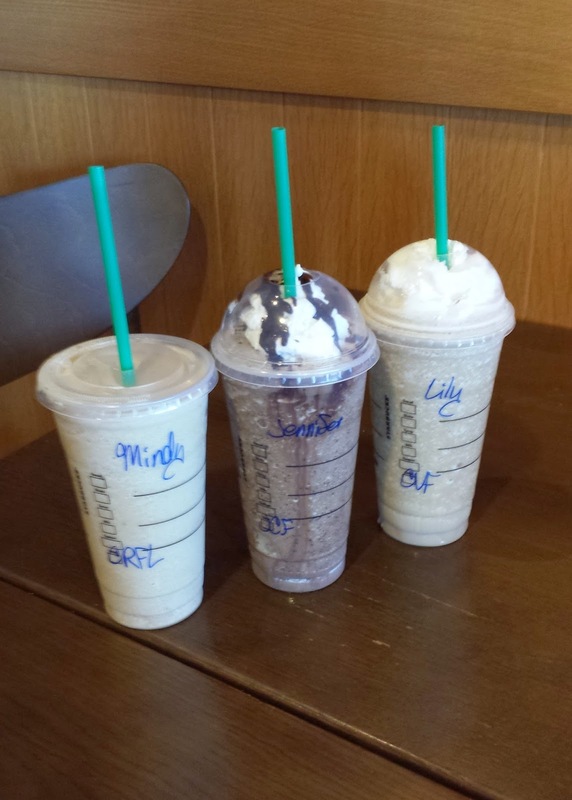 Bonus...the frappucinos are half price May 1-10 from 3-5 PM! Score! Jenny also gave me our race packets for the next morning. It was so sweet of her to pick up everyone's for them! After coffee I headed to Donna's house to meet Donna, Paige, and Susanne. 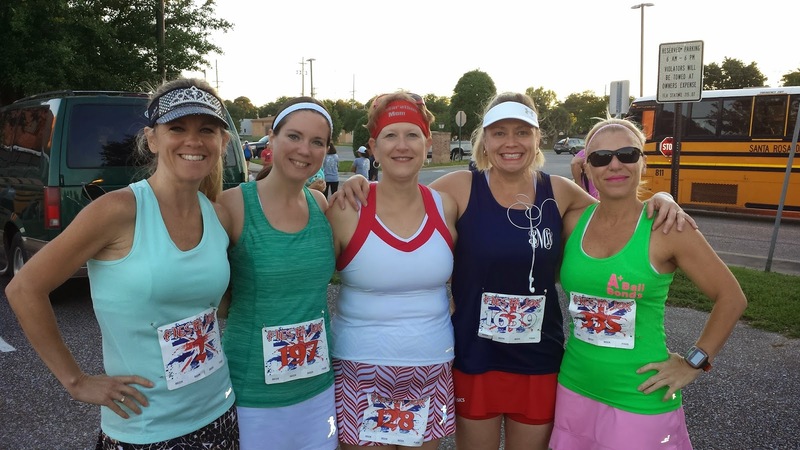 We had our pre-race dinner of pizza (of course) and then we had a spa night! We did our toes and had great girl time! 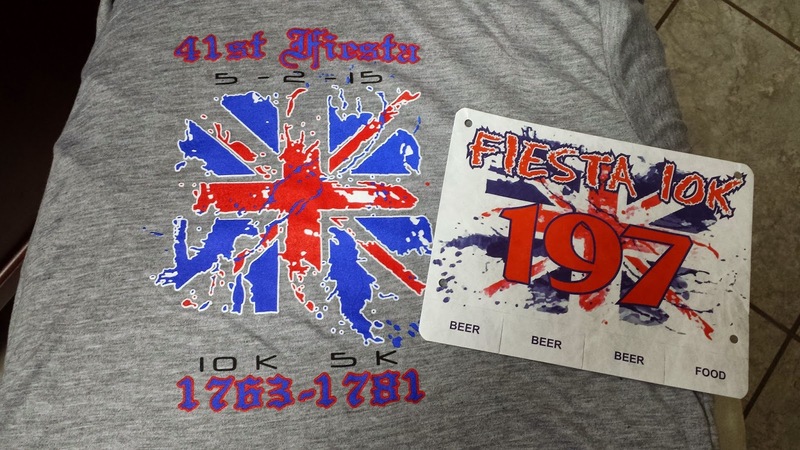 Saturday morning it was time to run the Fiesta 10K! I'll have a recap up for you on Wednesday! 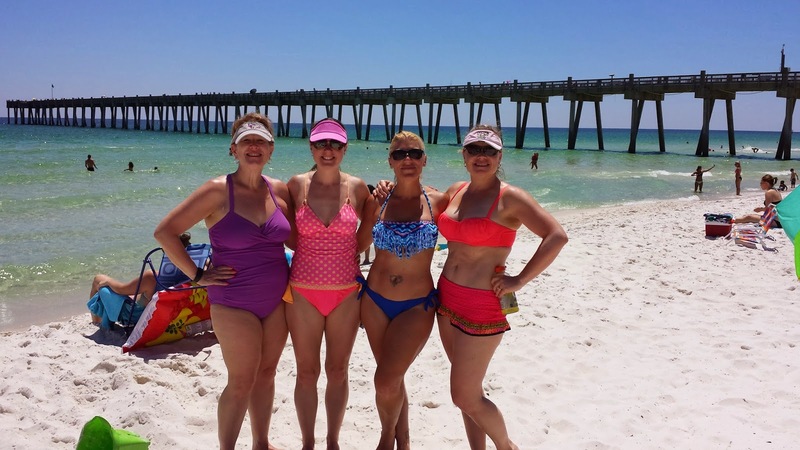 After the race we went to Pensacola Beach! 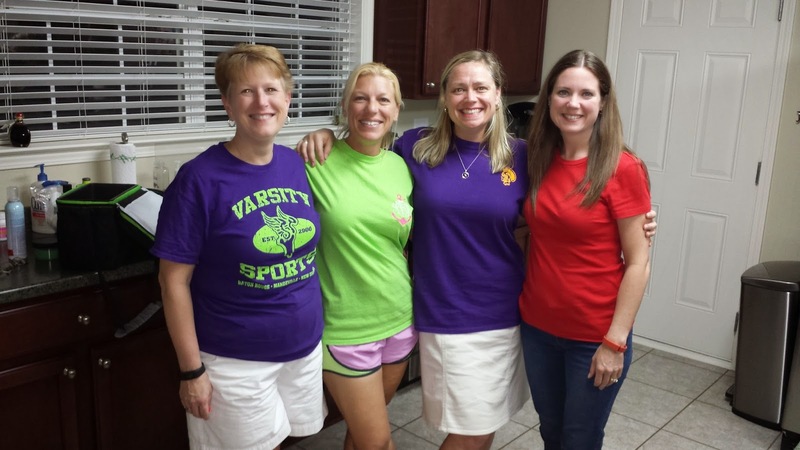 It was a fun girls day! Sunday was a lazy day around the house. I needed the down time after such a busy start to the weekend. Goal #1: Run every day! Yes! The streak is still going strong! I'm almost to my year long goal! Goal #2: Roll, stretch, and ice daily. Yes! The hip is feeling much better. I can still feel a little bit of soreness in it but it is so much better than it was. Goal #3: Maintain my weight by logging my calories. I've done pretty well this week. There are a few days I missed logging my dinner. But I knew I had enough calories for what I ate based on the rest of the day. Goal #4: Finish t-shirts for preschool graduation. Yes! Whew! These are done! Graduation is Thursday night!!! Goal #5: Take one more professional development class. Yes! All done! Yay! Goal #6: Start working on preschool memory books. No. :-( I DID get all my pictures printed this past week. But I haven't starting putting everything together. That's on the agenda for this week for sure! Here are my goals to work on this week! Goal #1: Run every day! There's no stopping me now! I'm so close to a year! Goal #2: Roll, stretch, and ice daily. So important to keeping my body healthy as a streaker and runner in general. Goal #4: Start working on preschool memory books. I'm feeling very overwhelmed by this task. I know they will be awesome when I get them done. The end of the school year is a super busy time for me. So I'm not focusing on too much this week. My main goal is to get those memory books mostly complete. Please understand if I don't get as many blog posts up this week. Summer is almost here and I'll be back on schedule I promise! I hope you all have a great week reaching your goals! QOTD: What goals are you working toward this week?